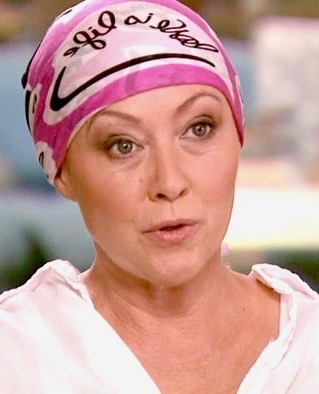 Shannen Doherty's breast cancer has metastasized. 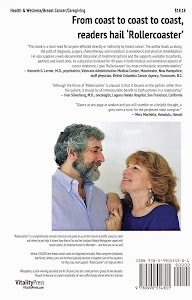 To her lymph notes and perhaps elsewhere. Exactly what that means regarding treatments is still unclear, however. US magazine this week reported that Doherty gave an interview to "Entertainment Tonight" in which she finally admitted having had a mastectomy in May, and that she's using an expander. The 45-year-old actress, who's already undergoing chemotherapy (eight sessions have been planned), has now added radiation to her regimen. Doherty, who during a four-year stint on "Beverly Hills 90210" gained fame as someone difficult to work with, told "ET" that "living without a breast is manageable. It's the worry of your future and how your future is going to affect the people that you love." She also said that "the unknown is always the scariest part. Is the chemo going to work? Is the radiation going to work? You know, am I going to have to go through this again, or am I going to get secondary cancer?" Last month she posted six black-and-white photos on Instagram showing her lopping off her hair, preceded by another picture with this caption: #cancersucks. She said at the time that she'd probably be unable to have children because of the cancer treatments. During this week's interview, she reported that "it was traumatic and horrible" being fitted for a new bra. "I broke down crying in the dressing room and ran out, and then sat in the car crying." Her breast cancer diagnosis originally was made in February 2015. On Tuesday, her photographer husband, Kurt Iswarienko, shared an Instagram shot of the couple flipping the bird to cancer. Doherty was wearing a bright pink wig. She commented that he's been with her through all the chemo treatments so far, and that her cancer has "made my marriage a thousand times stronger." 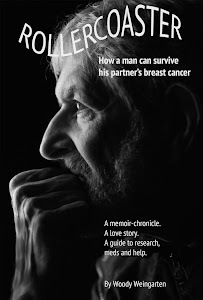 Insights into mastectomies and other treatments can be found in "Rollercoaster: How a man can survive his partner's breast cancer," a VitalityPress book I, Woody Weingarten, aimed at male caregivers.